California Rep. Adam Schiff said Sunday that he is prepared to subpoena a report from the special counsel’s Russia investigation should the White House try to block its release. CNN host Jake Tapper had asked Schiff, a Democrat, whether he would use his subpoena power when he takes over next month as chairman of the House Permanent Select Committee on Intelligence to obtain the report, should the Trump administration attempt to block its release. “I’m prepared to make sure we do everything possible so that the public has the advantage of as much of the information as it can,” Schiff said. “That sounds like a yes,” said Tapper. The Justice Department, which is currently led by Acting Attorney General Matthew Whitaker, would have the option of releasing parts of the report. The White House could exercise executive privilege to keep the document from being released to the public. Mueller, who was appointed special counsel on May 17, 2017, has been investigating whether the Trump campaign colluded with the Russian government to influence the election as well as whether President Donald Trump obstructed justice by firing James Comey as FBI director. 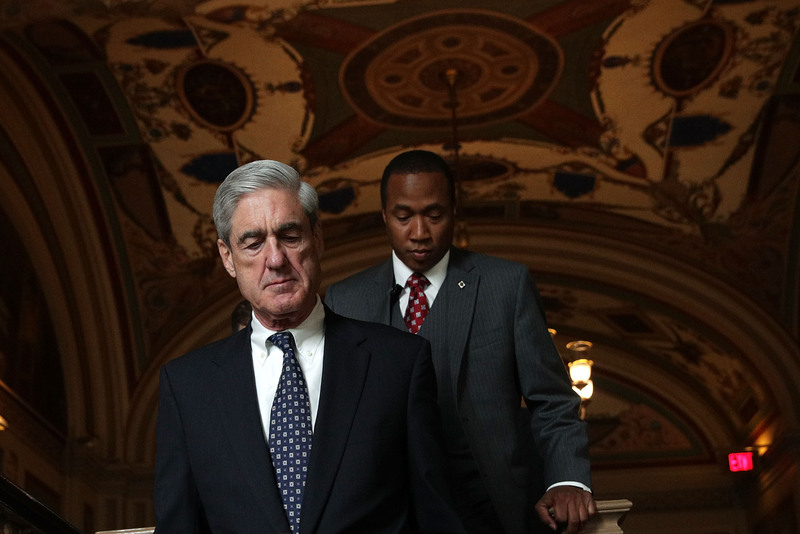 Mueller is expected to address both components of the investigation in his report, though it remains unclear whether he has found evidence of criminal wrongdoing on the part of Trump. Schiff said Sunday that classified information and grand jury information will have to remain redacted in any report released to the public. Schiff has been the top Democrat pushing the conspiracy theory that Trump associates colluded with Kremlin operatives to influence the election. He claimed early on in the congressional investigation into the Trump campaign that he had seen “more than circumstantial evidence” of collusion between the Trump campaign and Kremlin. Schiff has failed to reveal that evidence when challenged by his Republican colleagues. Republicans on the House Intelligence panel released a report on April 27 asserting that the investigation found no evidence of collusion.